This book offers a clear, up-to-date, comprehensive, and theoretically informed introduction to criminal psychology, exploring how psychological explanations and approaches can be integrated with other perspectives drawn from evolutionary biology, neurobiology, sociology, and criminology. Drawing on examples from around the world, it considers different types of offences from violence and aggression to white-collar and transnational crime, and links approaches to explaining crime with efforts to prevent crime and to treat and rehabilitate offenders. an array of helpful features including learning objectives, review and reflect checkpoints, annotated lists of further reading, and two new features: ‘Research in Focus’ and ‘Criminal Psychology Through Film’. 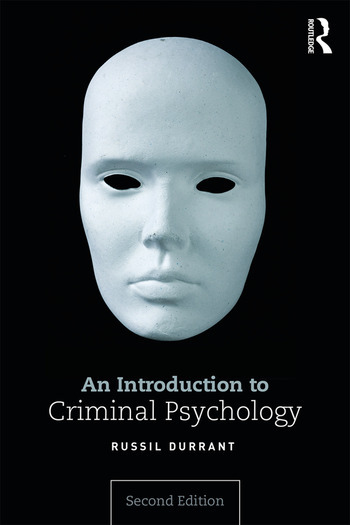 This textbook is essential reading for upper undergraduate students enrolled in courses on psychological criminology, criminal psychology, and the psychology of criminal behaviour. Designed with the reader in mind, student-friendly and innovative pedagogical features support the reader throughout. Russil Durrant is Senior Lecturer at the School of Social and Cultural Studies at Victoria University of Wellington, New Zealand.